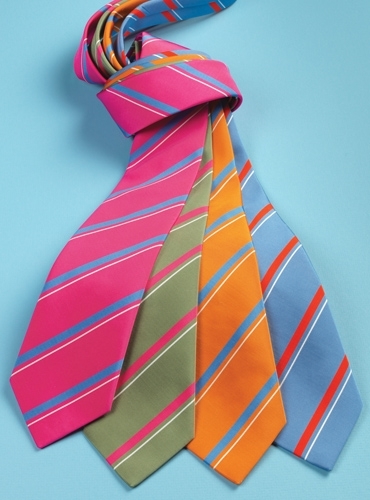 Robert Noble has woven this handsome fabric for us in a blend of 46% cotton, 27% silk and 27% linen. 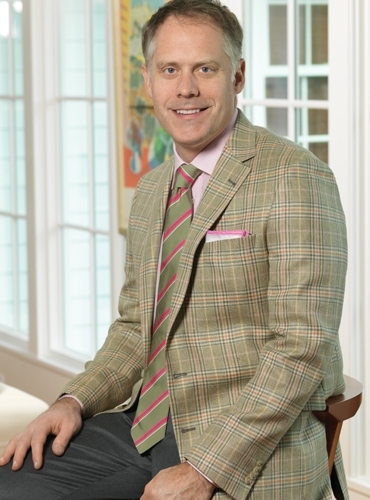 The 8.8 ounce jacket is lightweight, with the wonderful hand of a blend of three fibers. 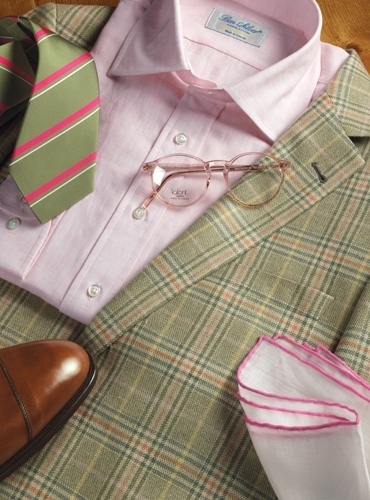 Hues of slate blue, rose and cream create an engaging glen plaid. Tailored in our trim natural shoulder silhouette, with two buttons and side vents, and available in our full range of sizes. 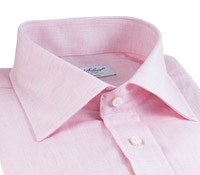 Shown with a pale pink linen spread collar shirt, but we also propose the fine Swiss woven cotton panama pink and white Bengal striped shirts shown on this page as another option. 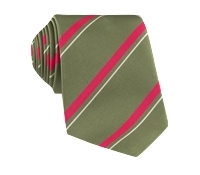 The necktie is one of our Mogador stripes, with magenta and white stripes on a fern ground. 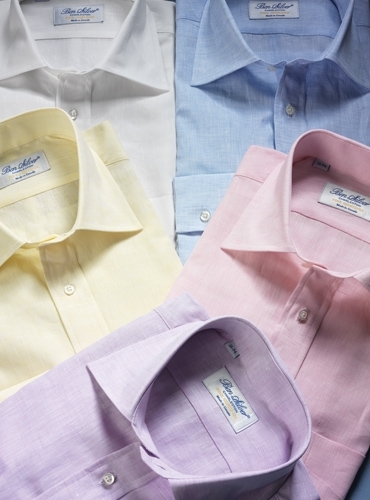 In the pocket, a pure white linen square with a hand rolled pink edge. 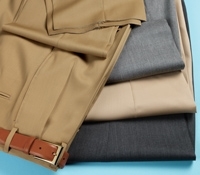 Trousers are medium grey tropical wool.